How does a rural based economy in a country where the population exceeds 1.3 billion people function? The Indian model is largely based around the cooperative model. As a Canadian, I think of co-ops in forms of supplier/processor relationships, based more around business opportunity for growers compared to the sole option for farmers. 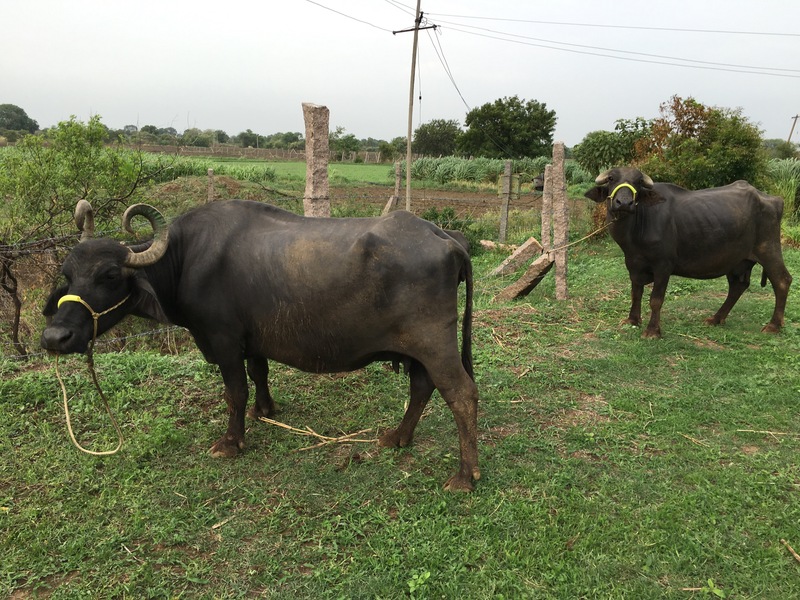 For Indian farmers, their government set out to develop their model over 50 years ago as a mechanism to provide stability to rural villages, after all, if you only have a few acres or one cow, individuals do not demand market power. Travelling from bottom to top of India, we came across many forms of cooperatives including all forms of production, cotton, corn, milk, sugar cane to name a few. These cooperatives were for the most part based around the geography of the local village. With each group, came their own level of politics, elected representatives and overlaid the class system at play. In other words, farmers aren’t just farmers, some are seen as superior due to their pedigree, which essentially flexes control over others. 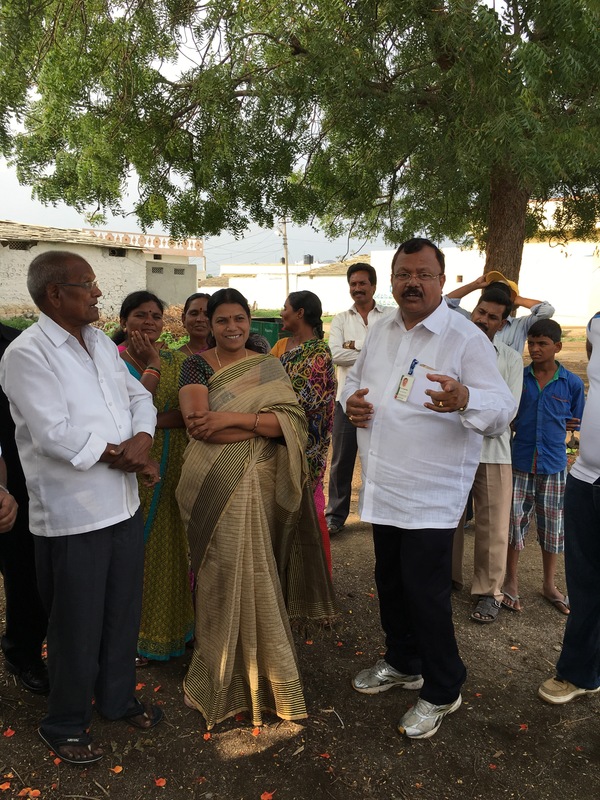 As seen first hand, our first introduction to the cooperative model was back in the village of Kothapalli where the water project was initiated by the research institute. The local farmers pool their resources and rely on a commodity buyer (middleman) to visit their village and arrange purchase of their goods with small farms averaging between 3 to 5 acres of land. The cooperative model also offers opportunity for non land owning villagers to work employment, such as receiving, grading and managing delivery of product. A secondary benefit of cooperatives is the willingness to work together. The Indian government is slowly realizing the true value women bring to society and economy, they now provide mico financing to women’s groups. A great example of empowering women through cooperation was a group that purchases grain distillers from a local brewery everyday, in turn it sells back to farmers to improve dairy productivity, while providing employment for local ‘feed sales rep’. Our first feel good cooperative visit was offset by travelling to meet in the village of Valsad. 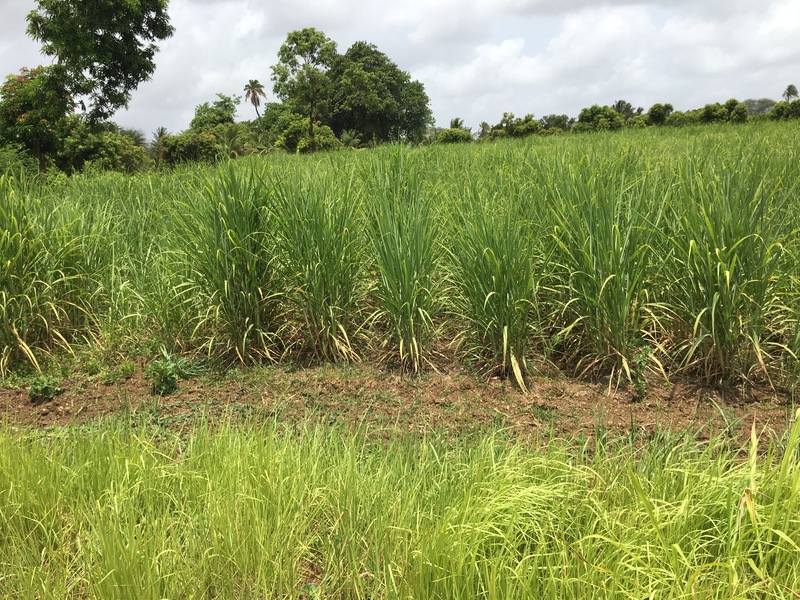 To be clear, organized buying units ensure constant supply of sugar cane is grown for the local processing plant is important because it does guarantee purchasing local. 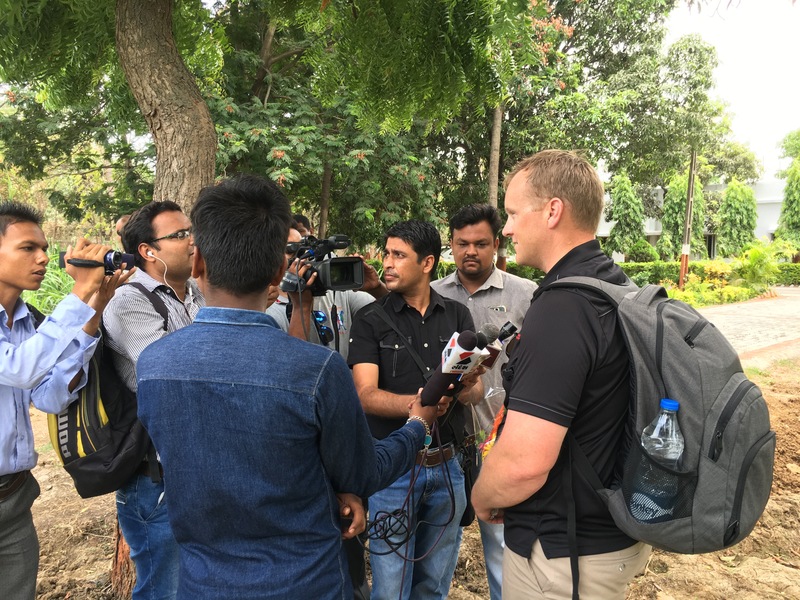 As unequivocally spoken, all profits are supposedly returned to farmers, however driving through the back roads of India, our host Ramesh insisted many of these farmers will have never seen a foreigner. When driving into the sugar processing yard, we drove past many large Toyota and Mercedes vehicles to meet the chairman of the co-op. 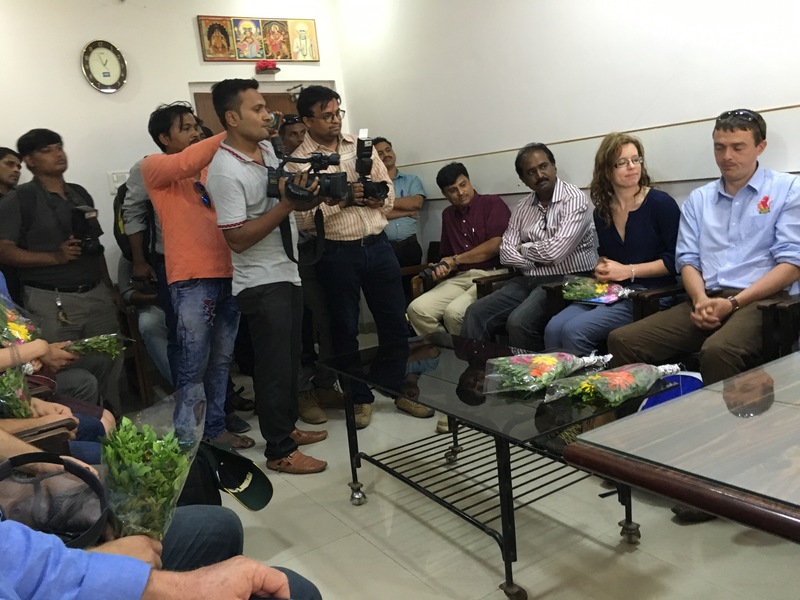 A kind and gracious host in Valsad, we were welcomed with flowers, drinks, food, a camera crew and photographers; a very strange situation. 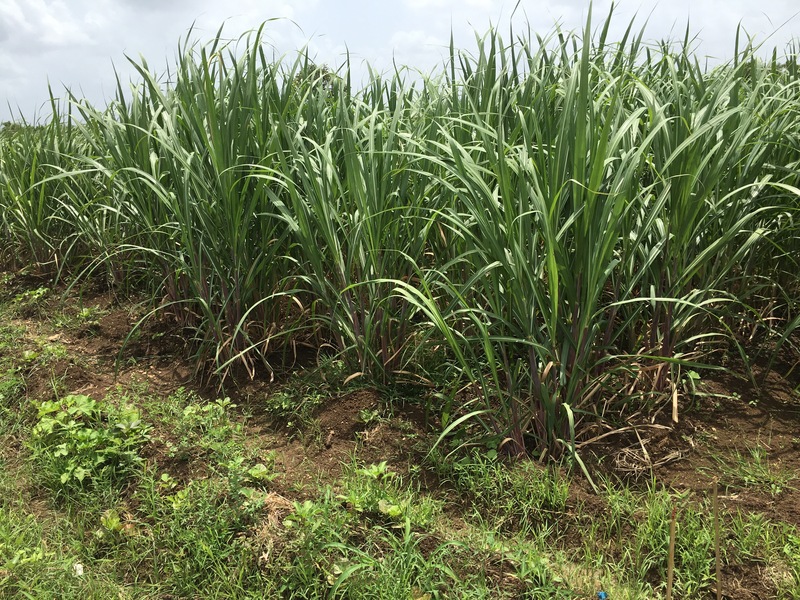 Upon seeing first hand the test plots of a beautiful crop of sugar cane, one grown ‘organically’ and the other conventional. I use the quotations, because given there are few organic certifying bodies in India, the huge labour force to manually remove weeds, but a need to still use commercial fertilizers, I am personally challenged by this notion of organic. In speaking with a group of farmers, we were known as International Scientists’ here to look at organic production in conjunction with their newly launched ‘organic fertilizer’ business. You see, the cooperative power was working at full strength, telling the uneducated farmers what and how to grow their crop, use their new fertilizer product and essentially develop ‘close enough to organic’ sugar to be potentially exported. Keep in mind, these are all my opinions, but our Nuffield Team termed a phrase ‘Gotcha’, meaning one person breaks the circle of trust and effectively takes advantage of other people. In the case of the sugar cooperative, money and profit flow outside the cooperative to those with influence. In addition, as a Nuffield Scholar, I had a ‘Gotcha’ moment, knowing full well our visit was interpreted to locals for corporate betterment. Again, in India this visit for me became not about sugar cane, but rather the distribution of power, wealth and influence dictating what and how things will be done. 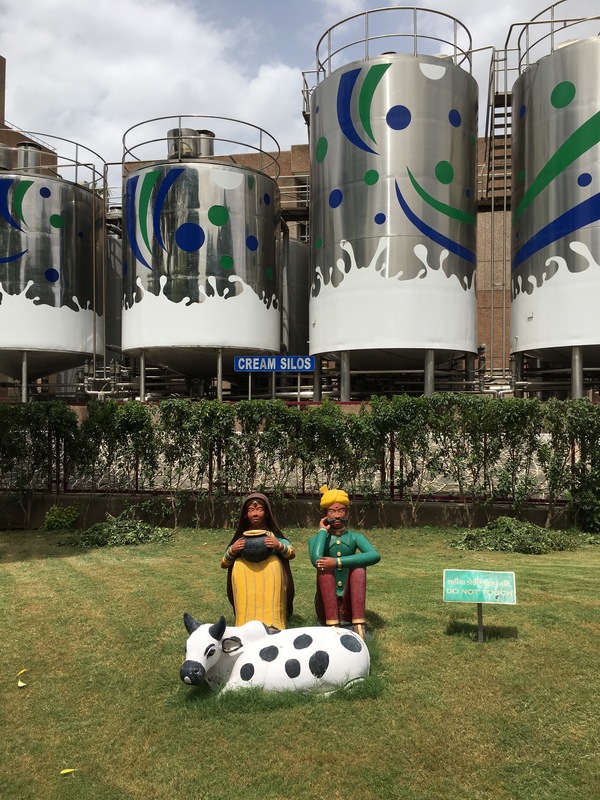 Amul, India’s largest milk processor was our third example of cooperative marketing. Given that most of India’s dairy farmers own three or four cows and buffaloes, collecting and distributing milk is no small feat. Nearly 70% of all milk is sold farmer to consumer directly, only 30% sold through dairies of which 20% goes through co-ops and the balance through companies. 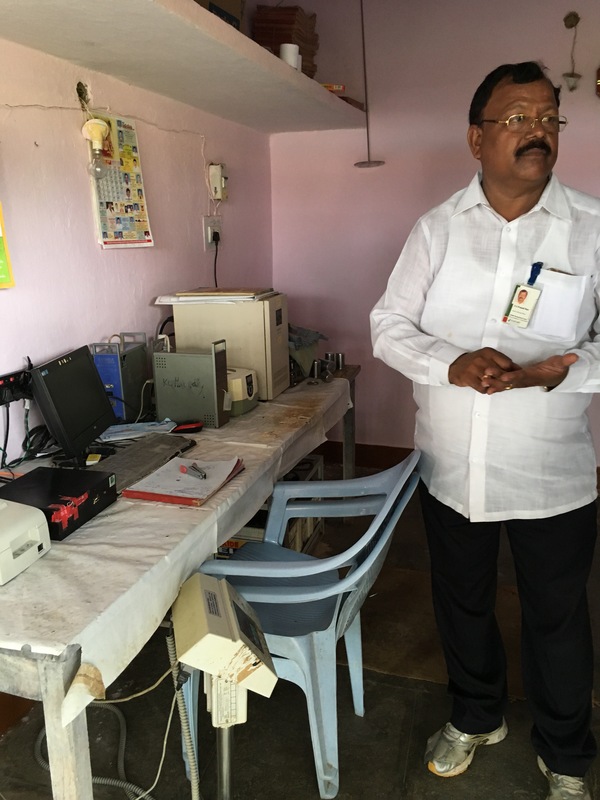 At the Anand, India site, they represented 680,000 farmers of the 2.5 million farmers in the state, 1.3 million cows and buffaloes, utilize 1220 village collection sites as well as 35 commercial farms with over 100 cows! 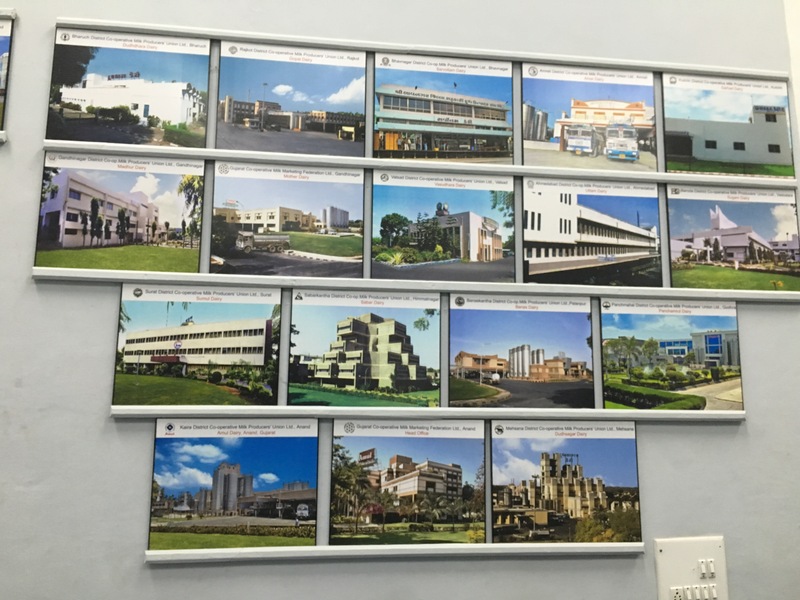 Amul has 17 sites in India similar to the one visited. Each collection site or village, acts as their own cooperative, gathering, cooling, testing components and paying the farmers. In addition, each farmer must own shares of Amul to ship milk, the returns are in line with the fixed price of milk set out by the government as part of their food security system. Known as the White Revolution, dairy cooperatives were established in 1964 to ensure fair market pricing. Today, at the Anand site, they collect 2.5 million litres per day, but the coop as a whole, averages 18 million litres per day, filling 3% of the Indian market. At Amul, farmers are paid a base price, bonus and dividend based in share ownership. Interestingly, the dividend may be paid out by way of a new pail, milking equipment or money. 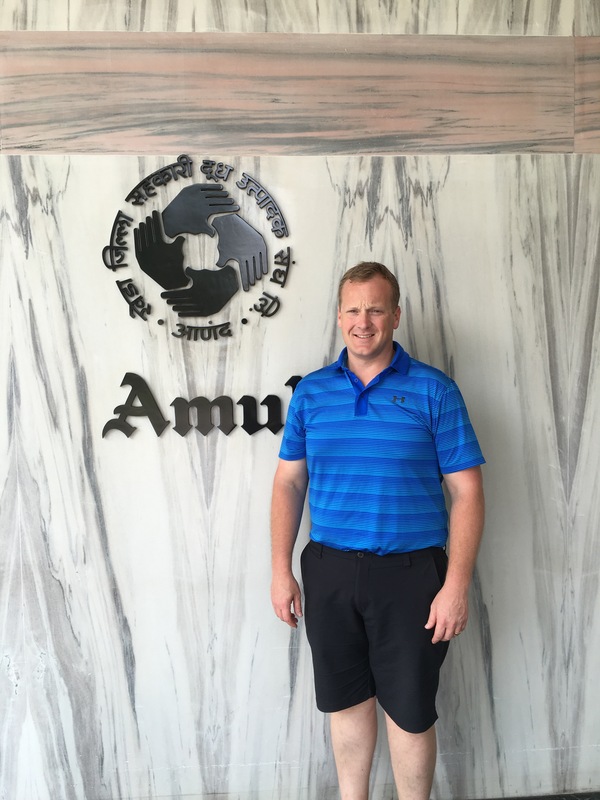 The cooperative model is alive and well, because through Amul they have access to breeding technicians and veterinarians on staff, as well, farmers can opt to sell their young stock and repurchase if needed. One major issue is ‘the sacred cow’, literally, cows are considered sacred (bulls and buffaloes are not sacred), so if infertility strikes, farmers cannot slaughter the cow, therefore it can majorly increase the cost of production, hence the number of stray cows and use of Buffaloes. 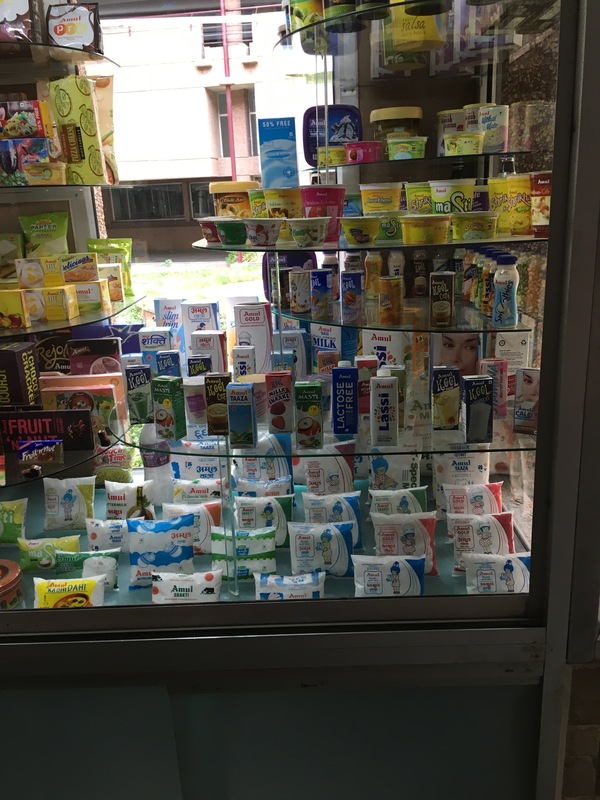 Arguably the outward signs of cooperative success were evident, but more so the upside opportunity because if the size of unregulated milk markets is huge in India. To refer back to my tittle, India – Cooperative Farming: Social Responsibility or Capitalistic Hierarchy, my experience is clear, organizing millions of small scale farmers have been effective and will continue to be so in the future, but as economies evolve, wealth accumulates and the divide between the rich and poor widen, the system is open for interpretation and ultimately abuse. For me, evolution of these cooperatives will come through involvement, education and a desire for the upper class to raise the wealth of the peasant farmer and not take advantage of their position of power, because it is easily done.